Child Spacing: How Far Apart Should You Space Your Kids? You are here: Home / Pregnancy / Preparing for Pregnancy / Child Spacing: How far apart should you space your kids? How far apart should kids be? Child spacing is a hot topic and one that there are many pros and cons for each spacing. 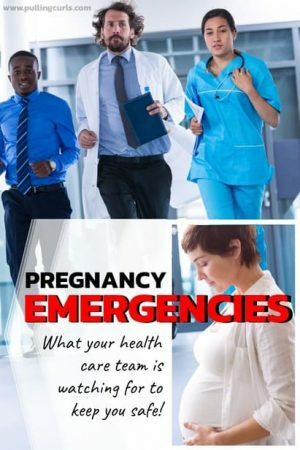 As a labor and delivery nurse, I get asked by expectant moms how far apart are my kids. I often get wide eyes — they’re awfully far apart (although certainly not as far apart as some). For your info, my kids are 5, 11 and 14 — at this moment in time. I have 9 years between the first and the last, with only one in between them. And that’s how God wanted it. 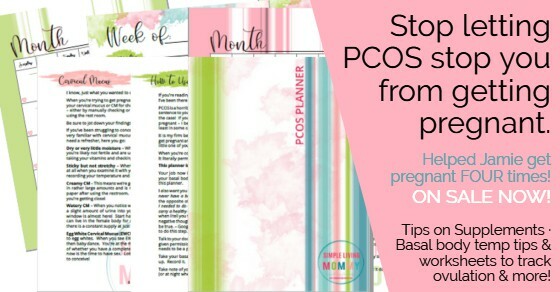 Think PCOS is keeping you from having #2 — check out this PCOS planner to stop PCOS from preventing you from getting pregnant! 1. Lots of individual time for each one. A lot of people wonder how my kids were all reading so early (each read before they were 3). The reality of the situation, I was at home and had time on my kids to spend a LOT of time with each one! I consider myself very lucky to have had that time. So much time to love and cuddle. I especially took that time with Princess P (although, I am not sad to send her to Kindergarten now). 3. Less fighting. While my older 2 fight an AWFUL lot, and we can’t pretend that the littlest doesn’t get in the fray every now and then, I bet there’s less fighting because they’re all at their own ages. Rarely do 2 want the same toy at the same time (unless that toy is the TV or the computer, which can’t be helped). 4. More space to grow, less comparison. Next year I will enter kids being at different schools the rest of their school careers. It’s hard, but at the same point — no one has a teacher, right after another one had a teacher. 5. A little more time to adjust. Instead of throwing more on your pile quickly, you’re throwing it over a few years. I sometimes wonder if I wasn’t cut out to have 3 close together. Having a baby really rocks my world, especially the third. Turns out God knows what he’s doing after all! 6. Great for your uterus. I have to say that if you get pregnant TOO close together, you might be more apt to have preterm labor — as your uterus never had time to recover (and a year apart is plenty). The Ava Plus Guarantees pregnancy in the next year — or your money back! 1. Easier to room in. At one point we had all 3 in one room. That’s hard when you’re 10 and your baby sister is one waking up all night. If they had all been small that would be easier (at least for a while). 2. Get it “done” — we are stretched out between 3 schools and I will be on an elementary PTA for the rest of my life, but I deal with it. Is it awesome? 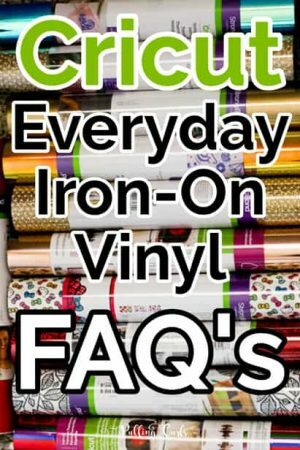 No, but it’s fine. I make the best of it. 3. Easier to do activities. It’s hard to please everyone with an activity around here. We try, half-heartedly. Family Home Evening tends to usually focus on one age range to make it meaningful for someone. Luckily, we all like to be silly — so throwing it young, usually gives everyone some enjoyment. I’ve considered homeschooling a few times, but I really think it would be impossible with 3 kids on VERY different levels. 4. Good friends. While my kids have moments they get along. They wouldn’t really be “friends” because they’re so far apart. That makes me sad. But, I know that as they get older the time between them will fade. When they’re adults they’ll have each other! 5. You’re younger when it’s done. I dream about being a cool grandma who still has tons of energy to play with the chicklets and then send them back crying to their parents. Luckily, I started pretty young (24, to be exact) so this is still likely. Also, I am extra cool and hip now — so I’m ahead of the game! 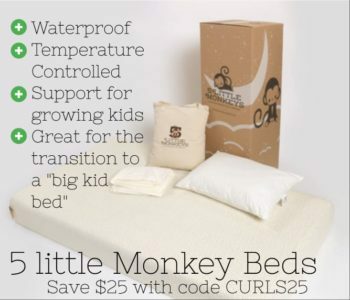 Looking to move a kid into a “big kid bed” and want the experience extra fun (and a mattress that will last beyond when they go to college) — check out 5 Little Monkeys, you can see my 5 Little Monkeys review to see why we love ours! Save $25 with code CURLS25! How Far Apart should kids be? The reality is that you need to pick what’s right for YOU. Are you READY to have another one, before you jump back into the game. It’s never ours to judge how others space their kids. We have no idea what other families are dealing with. SO many things come into play with little kidlets. Each one is a blessing, no matter where on our path they come. This is just some things I’ve noticed as I’ve pondered our own spacing. I do — as I mentioned at the time, entirely believe this is in God’s hands. What are your thoughts on the subjects? Share them in the comments! P.S. 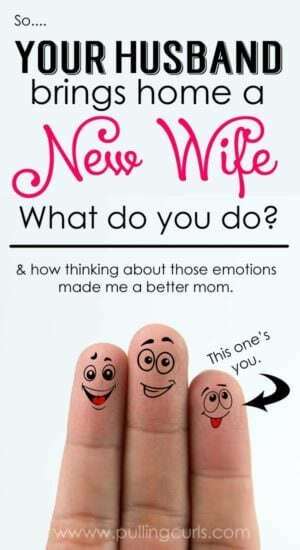 If you liked this post, you’ll want to sign up for my practical parenting newsletter! I really like your post. We have 4 spread 10 years apart. I really love it. My oldest is 4.5 years older than my 2nd. Numbers 2 and 3 are 2yrs. apart and #4 is 3.5 years younger than the third. After having a 4+ year space between 1 & 2 I thought I wanted to try smaller age gap. So #3 came 2 years and 4 days after @. I loved how they play together but it was more stressful in several ways. That is why #4 is spaced out farther. I too will be on the elementary PTA forever and at one point have one in high school, middle school, elementary, and preschool! But all the positives you mentioned are4 true for us as well. I am glad that God has the ultimate say in the matter because I feel like the spacing of my children is amazing! We are currently expecting baby #3 and our spacing is kind of crazy, our older two are 17 months apart and the age gap between our eldest and this baby will be 17 years!!! Our boys do get on pretty well, so there is definitely a lot to be said about them growing up together. I hope that they will get to spend plenty of time with their new sibling, but I know it will never be the same kind of relationship they have with each other. I only have one kiddo (13 months old) but we plan to start trying again when he is about 2.5 years. I wanted to comment on your point about your kids being best friends. My older sister is 10 years older than me and my younger sister is 2 years younger. Our parents started young – were married and had my sister before 20. Then jobs and college made a second not feasible for a long time – hence the large age gap. My sisters are my best friends, my older more so than younger. They can be good friends even with an age gap! Yeah, I think time will make them better friends, for sure!